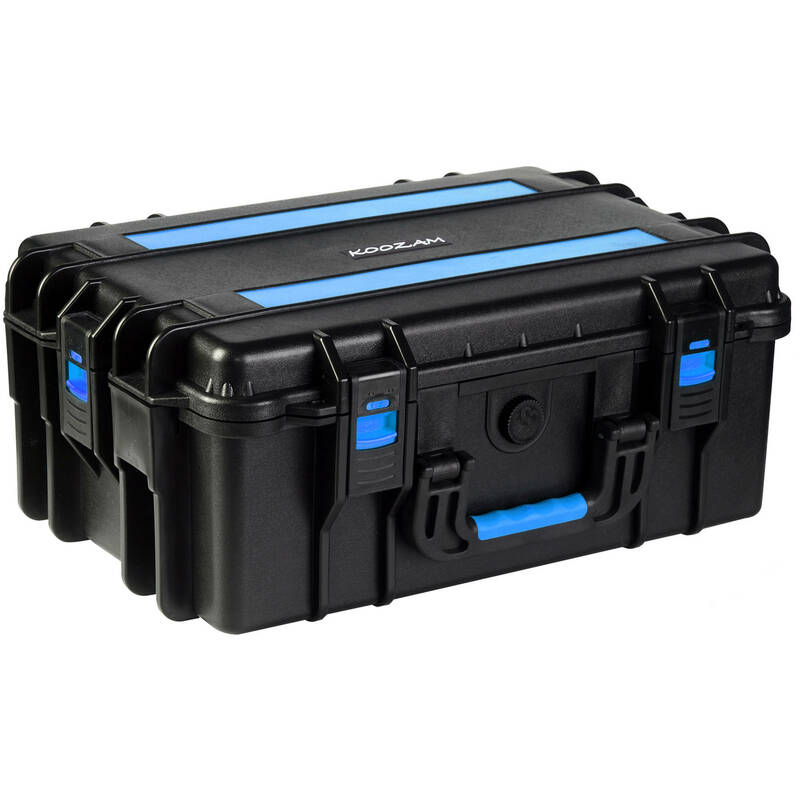 The Rugged Military Style Case from Koozam is a molded storage and transport case designed to carry a DJI Phantom 3, Phantom 4, Phantom 4 Pro, or Phantom 4 Advanced quadcopter. It exceeds specifications relevant to military and industrial applications. It features dustproof, airtight, and watertight protection and is capable of withstanding water immersion between 5.9 and 39.4" for 30 minutes. Box Dimensions (LxWxH) 23.1 x 16.5 x 10.4"
Rugged Military Style Case for DJI Phantom Quadcopter is rated 1.0 out of 5 by 1. Rated 1 out of 5 by Malcolm from you should keep looking... latches break off-cheap construction. The exterior dimensions are 22 x 22 x 8-3/8 . The interior dimensions are 21 21 6-3/8.